Residential Power Washing Services for patios, roofs, siding and more. There is nothing quite like the feeling of having a clean home inside and outside. Griff's Service provides one of the most thorough residential power washing, soft washing and power washing solutions for your property. Our residential power washing services will leave you home exterior clean and beautiful. If you own, lease or rent a property, and want to maintain and / or enhance the property’s value, then regular exterior cleaning is required. Atmospheric pollutants, dust, dirt, mildew and algae accumulate on surfaces, detracting from the property's value, and in some instances, present unsafe conditions. 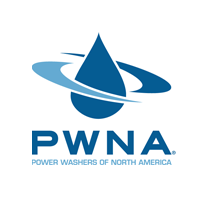 Our staff is well trained, and experienced, and are members of the leading Professional Power Wash Association of North America. We use our own professional pressure washer equipment. We consider every job, large or small, to be important, and as such, all jobs are treated with the utmost attention to detail. 2. Call 443‐420‐8058 for an appointment.